If you’re single and searching, this CD is for you! It is a heartfelt discussion on why we get in relationships for the wrong reasons, how we can satisfy the needs of each chakra ourselves, and at long last attract wonderful relationships! Give up the search and finally find what you’ve been looking for all along! 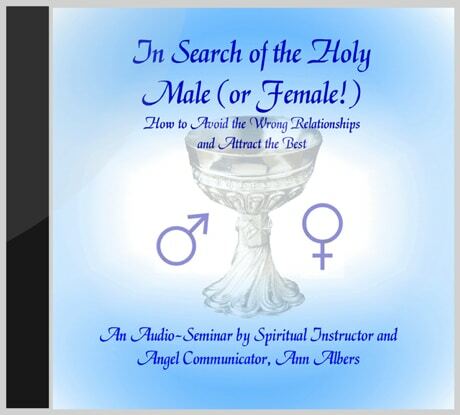 In this informative and inspiring CD, Ann shares humorous stories and examples to bring these concepts down to earth.